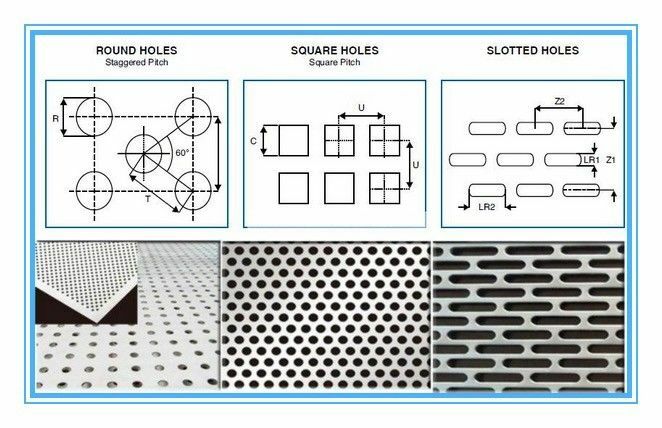 Perforated sheets are widely used in Insulation Panels, decorative applications and in various other industries. We offer it from 0.1mm to 12mm thick in almost all metals.They are supplied in sheet and coil forms with various widths and sizes and also cut to panel length depending upon the requirements of the customers. 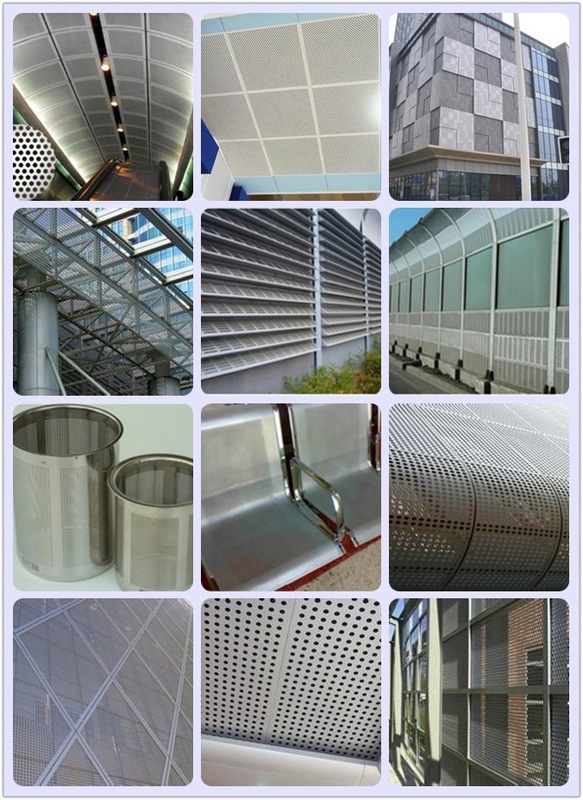 We offer perforated sheet in Mild Steel Ungalvanized, Aluminum and Stainless Steel 304, 316, 316L grades. It is available in round holes and various other hole types. Hole forms Diamond,round,square,rectangular ,triangle,hexagon,hexagonal,slotted,oval,club,cross,louver etc. Surface Treatment Hot dipped galvanized/Cold dipped galvanized/Paint Spraying/Coated/etc. Color Golden, silver, red, black, white, etc. Features corrosion resistant, long-lasting,winding resistant, smooth-surface. 5.The dust covers of foodstuff,feeds and mine. 2.Other special package according to customers' requirements. (6) Can be customized according to your requirement. Our advanced machine are all imported from Japan or Germany to ensure you the high product quality. b. Our professional engineer and workers all with at lest 25 years experiences can ensure you the high technic & efficiency of the production. c. Our 10 years experiences in international trade will ensure you the consummate service in the whole process in our trading. d. Furtherly,our product has been exported into more than 30 countries all over the world and gained a good reputation from our customers,it is the headspring of our big confidence to write to you to enlarge our business. If any more details needed, welcome to contact us.